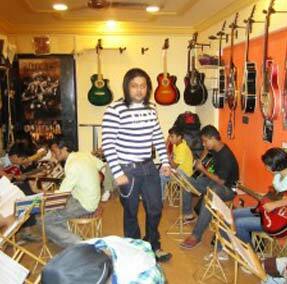 Kiran Roy (born October 27, 1980) is an ace Lead Guitarist, Performer and Guitar teacher. 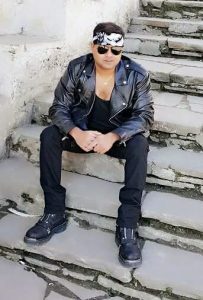 He is also known as being the founder of the First, Foremost and the Largest chain of music academies and guitar showrooms in India – Guitar Hall and for revolutionising music education in the country by bringing quality music education within the reach of all even at the far flung corners of the country. He has been felicitated and honoured by the topmost engineering, medical and management colleges due to these efforts. 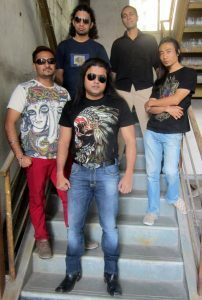 Kiran Roy has performed at the topmost venues and with the best Rock bands over a career spanning 18 years so far. Kiran Roy was born and raised in Mumbai. While in junior high school (age 13), Kiran’s mother gave him his first guitar. 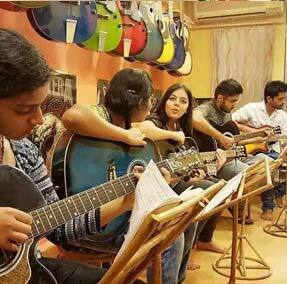 Although it was an ordinary guitar, Kiran was able to learn to play. 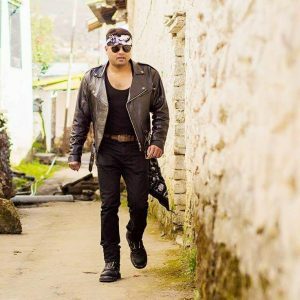 Kiran’s early musical influences were Judas Priest, Ozzy Osbourne, Van Halen, Black Sabbath, Megadeth, Pantera, Sepultura, Joe Satriani and Iron Maiden. He credits the Megadeth album ‘Rust in Peace’ with changing his life. He had set his sights to playing ‘Hangar 18’ one day, which eventually he did with perfect precision with his Rock Band. He dedicated his teenage years to rebelliously practicing his guitars for sometimes 16 hours a day, even writing songs at his exam answer sheets as he never had much time left to prepare for his exams, while studying music theory, ear training, composition and improvisation. His school work and soon college work suffered when he skipped classes and spent time with his guitar, all day long playing guitar.Once during his engineering days he had a concert just a day before his exams at a faraway location.He left home saying he is going to a friends place to study.Instead took a train to the venue,did the concert and directly reached his college right in time for his exams! School may have suffered, College may have suffered, got lashes from his parents, got suspended from colleges, was debarred from attending exams, but his guitar playing just got better! The other guys now thought Kiran Roy was cool, and he was no longer a social outcast. Kiran started jamming with other young talented musicians and soon he formed and also started performing with his first Rock band R.O.T. After a few live performances itself, he had a steady stream of students lining up his doors to get trained under him. The seeds was probably sown somewhere out there. 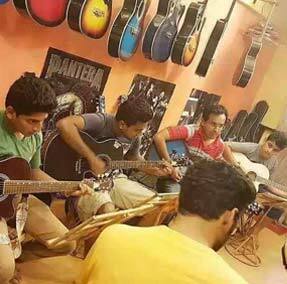 Seeing the number of students swelling by every passing day, coming from far corners of the State, Kiran changed his approach of conducting lessons from his house and decided to impart professional guitar training and education on a larger scale and platform, and the end result was Guitar Hall! He then finished his Engineering after years of what he calls ” literal struggle”. Kiran has a wellspring of ability on the fret board and his compositions exhibit depth, taste and original expression with a wealth of melodic content. In his playing and compositions, one can hear influences from such greats as Steve Vai, Eddie Van Halen, Joe Satriani, Yngwie Malmsteen, Eric Johnson, Randy Rhoads, John Petrucci, Andy Timmons, Nuno Bettencourt and Paul Gilbert. Kiran Roy is very particular about his equipment and uses Ibanez, B.C. Reich Kramer guitars, Digitech Processors, Peavey Marshall Amplifiers, SIT Strings and Dimarzio straps, cables and hardware. 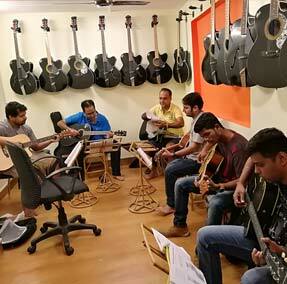 With a lot of talent and a lot of drive, Kiran and Guitar Hall has become a success story. Kiran’s life once seemed a symbol of rock and roll decadence, but now it’s a symbol of inspiration for thousands of his Guitar Hall as well as personal students.